than private home rentals. Some cabins are pet friendly too. All are AAA approved with an A+ rating from the Better Business Bureau. 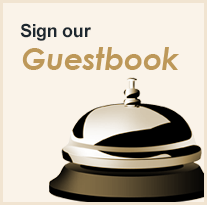 Linens, pool towels, spa towels and bath towels are all provided. Golden Bear Cottages also offers you daily maid service at no extra cost. dates at Golden Bear Cottages than you would at mountain rental houses. It's the best non hotel place to stay in Big Bear Lake, California. getaways or week-long family and group retreats, family reunions, schools and church groups and vacations. When you choose our vacation rentals at Golden Bear Cottages "non hotel", you get more space for less money than hotels in the region. Retreat and big cabin group lodging. Plan a vacation with the entire family (or multiple families) in Big Bear. View best online cabin rates, family and church group retreat packages, small conference group packages, Big Bear lake cabins for rent. 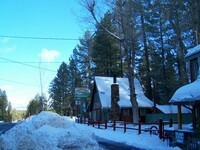 AAA and military vacation rental discounts for Golden Bear Cottages, Big Bear. "Hotel Big Bear.com is the place for people searching for a mountain vacation in a private cottage or fully stocked cabin rental that have hotel services, but don't want to stay in a hotel. They want a non-hotel". "“4th of July 2014 Holiday Vacation” Top Review: 5 of 5 stars! We booked Cabin #21 for 4 days during the 4th of July holiday and we had a great stay at Golden Bear Cottages. Lisa checked us in a little early since we arrived ea..."
"We have reserved our cabin again - for Thanksgiving. If you want to know why, just look at the review we posted on TripAdvisor after our last stay at beautiful Golden Bear Cottages resort. We have been wanting to get back there ..."